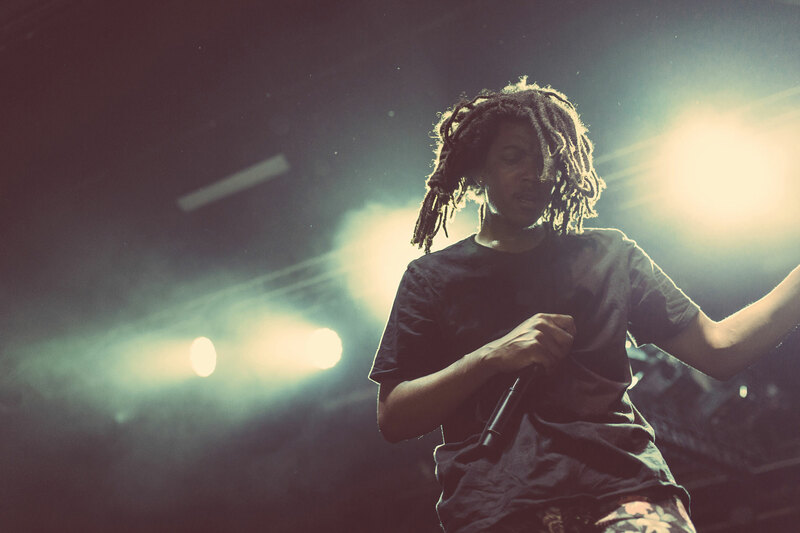 Since signing to indie heavyweight Rhymesayers Entertainment in late 2013, deM atlaS hasn’t wasted any time in spreading his brand of Hip-Hop music across the world. Steadily on the road since his signing, he was able to find the time to release his unofficial debut, DWNR, in late 2014. DWNR was a special release with each cover uniquely hand-drawn by deM atlaS himself. Released to critical acclaim, the first pressing of over 1000 copies sold out within 48 hours. deM followed the release of DWNR with major festival plays around the country, and supporting label mates Atmosphere on various tours in the US, Canada and Europe. After taking a break in France to record with French super group Ursus Minor, deM returned home and released his second EP titled mF deM on July 15th, 2016. The project features new lyrics over 13 previously released MF DOOM beats and is available for FREE via Digital download at Fifth Element and Vinyl and CD in LIMITED quantities. Starting in September 2016 deM atlaS joined Atmosphere and Brother Ali on the formers Freshwater Fly Fishermen Tour that spanned the U.S. and Canada until February 2017. Upon returning home deM immediately began putting the final touches on a full-length debut album and gearing up for a busy summer and fall.